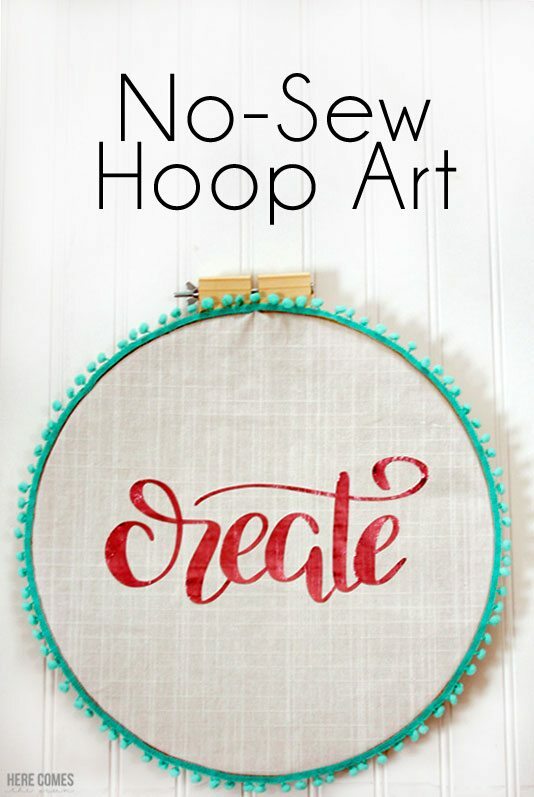 Make this adorable no-sew hoop art. 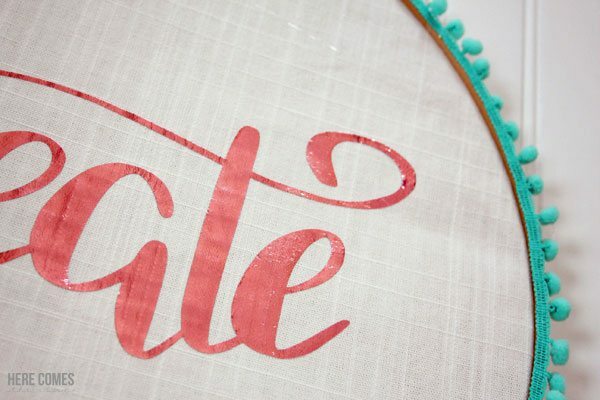 No needle and thread needed! I’m going to let you in on something. I do not sew. I try but it never turns out well. My mom is the queen of sewing. She made most of my baby clothes, she’s got embroidery projects all throughout the house and I never remember her without a needle and thread in hand when I was little. Me… I don’t have the patience for sewing and if it is genetic… I sure as heck didn’t get the gene passed down to me. That being said, I absolutely adore hoop art. It’s so cute and I really wish I had the talent for it. But alas, I don’t. I bought a hoop at Christmas planning to make some sort of creative wreath and I never got the time to do it and since then the hoop has just been staring me in the face and taunting me. 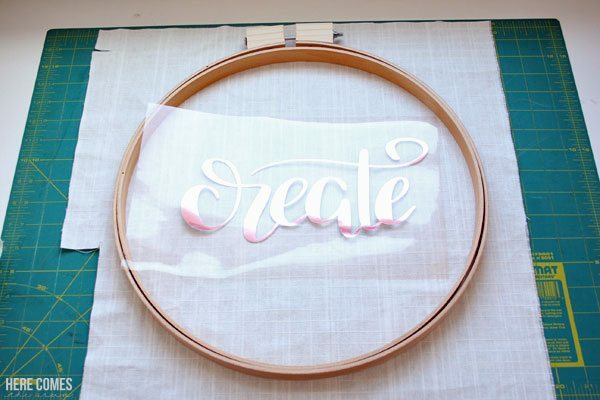 So I decided to try some no-sew hoop art. I gotta be honest. I think this turned out pretty great. 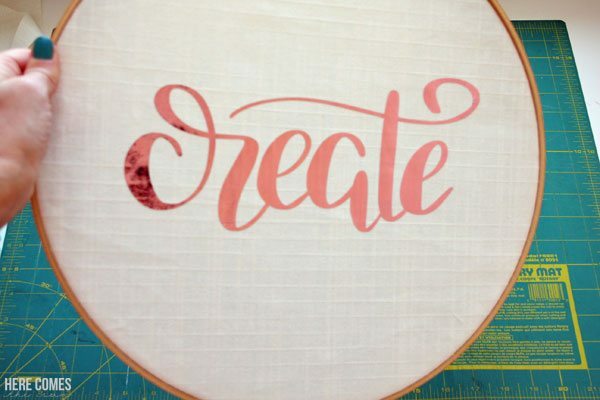 And it is so easy to do because I’m offering you the hand lettered cut file for free so you can make your own. 1. Iron your material to get all the wrinkles out. 3. 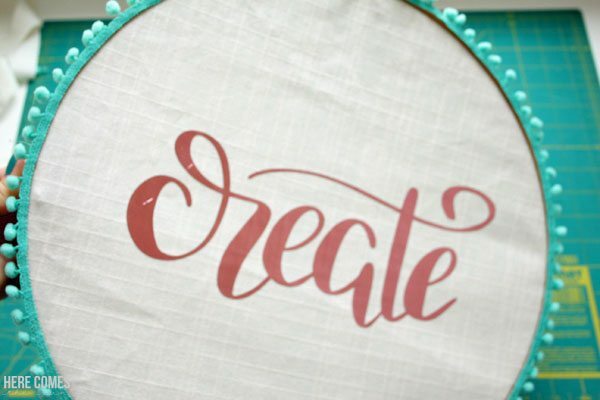 Download the cut file and cut it out using a Silhouette or a Cricut. 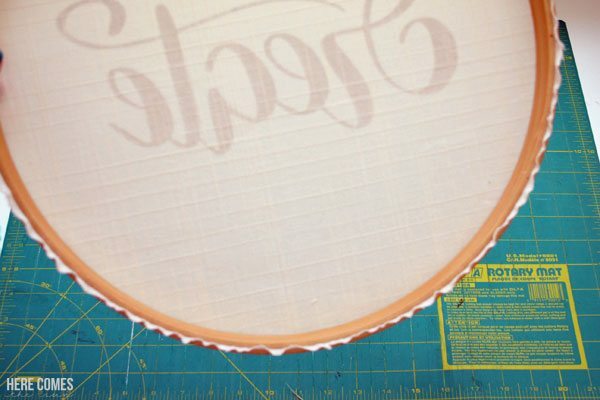 Don’t forget to mirror the image and size the file to fit inside your hoop before you send it to your cutting machine. 7. 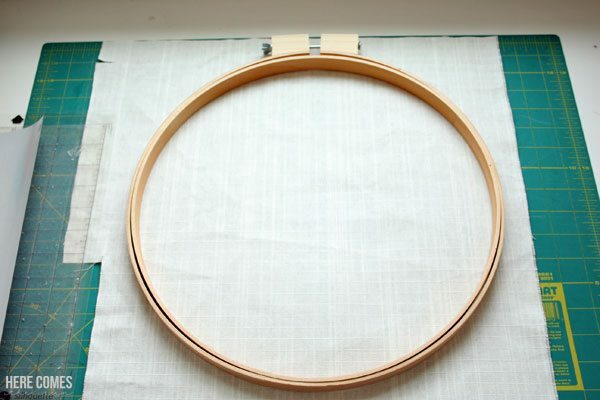 Place a bead of hot glue around the edge of the hoop and adhere the pom pom trim to it. As always, this cut file is for personal use only. You may not sell or redistribute it. 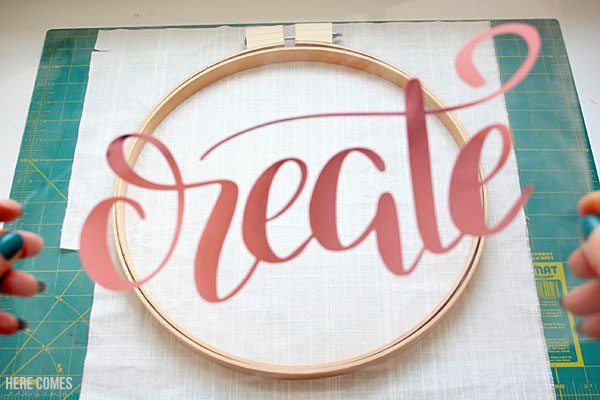 You now have a totally custom piece of hoop art for your craft room and you didn’t have to touch a needle and thread! I LOVED the hoop art! Can I wash the fabric? Hi Jennifer! You’ll have to read the washing instructions on the specific heat transfer vinyl that you use. Most are machine washable but some may require hand washing.